After yet another failure to locate a specific waterfall (I’m sparing you the details. I’m not ready to talk about it yet.) I visited a well documented fall that was less than spectacular. I was beginning to grow a bit desperate. I started to return home then I remembered passing a sign for Glenn Falls near Highlands, NC on an earlier trip. I had never researched the falls and I had no idea what to expect. But, it was near my location and at least I knew where to find it. And I am very pleased I did. It was a beautiful hike and an impressive waterfall. I captured this image of Glenn Falls using my 16-35mm f/4, tripod mounted and using a circular polarizer. Thanks for stopping by. 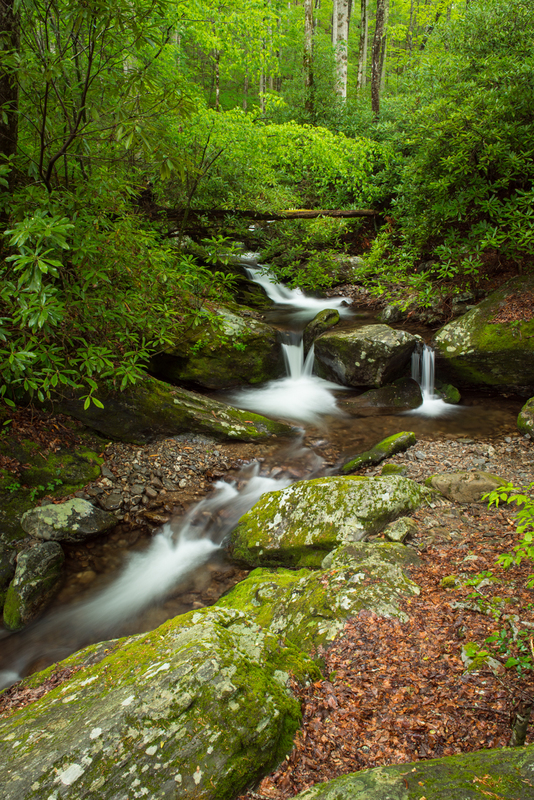 What began as a well thought out plan to capture an image of Denton Branch Falls – Georgia, turned unexpectedly into a long hike exploring in North Carolina. The directions that I had from the web, were less than accurate. The roads were not all marked. The GPS names for the roads did not match the names of the roads that did have signs. So, I simply drove as far as I could drive down the main road. It lead to a small parking area and a trailhead. I grabbed my gear and started hiking. I explored the area and took a few shots. It was all about exploration at the time. I didn’t know what I would find. It wasn’t until I returned home and looked at the GPS coordinates that I realized that I hadn’t even been exploring in Georgia. But, that I was actually in North Carolina for the entire hike. I guess no one has ever felt the need to mark the state line with a sign. Needless to say. I never found Denton Branch Falls. If anyone has some good directions they would like to share, I’d love to visit the falls. Otherwise, they’re likely to move down my list. I guess I’ll look for them on a day that I wake feeling the need to explore and drive in circles. After reviewing my EXIF data with my GPS coordinates, I discovered that this is an image of Chimney Rock Branch – North Carolina just before it reaches the Tallulah River. I captured it using my 24-70mm f/2.8, tripod mounted and using a circular polarizer. Thanks as always for stopping by. 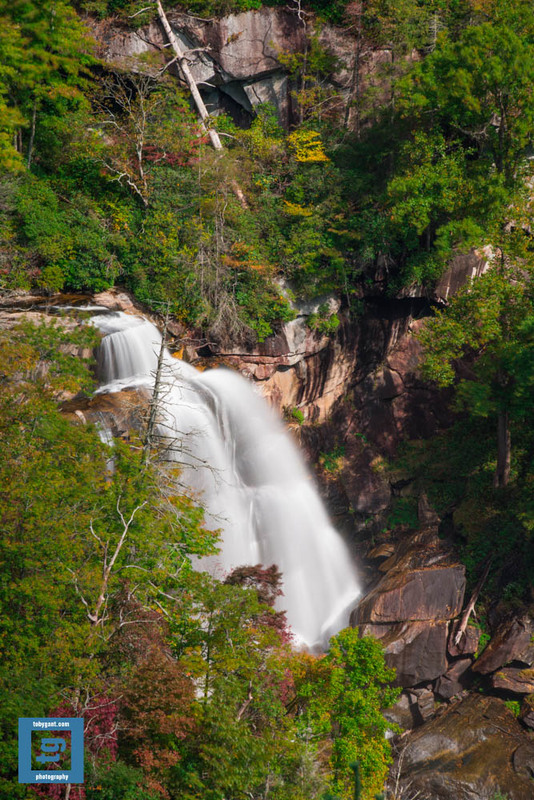 On our recent trip to North Carolina we attempted to visit Whitewater Falls near Cashiers, NC. The park was closed due to the government. But, we found an overlook a few yards away from the barricaded entrance. The midday light would not allow for a gallery image. But, it is a beautiful fall all the same. I captured this image using my 70-200mm f/2.8, tripod mounted and using a circular polarizer. Thanks for stopping by.